On December 10 and 11 New Zealand is expected to attend an intergovernmental conference in Marrakech, Morocco, to adopt the United Nation’s Global Compact for Safe, Orderly and Regular Migration. 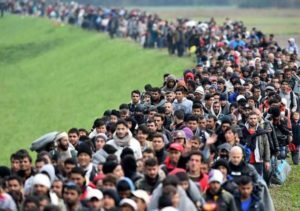 The Compact, with its 23 objectives, arose out of concerns over the migration crisis in 2015, when more than a million illegal migrants arrived in Europe. However, instead of focussing on deterring the unlawful movement of people between countries, the UN Compact, legitimises it by promoting migration as a human right. Fears that this this new accord could end up incentivising illegal migration and creating a threat to global security, have been ignored by the UN – and those countries that intend to sign. Here in New Zealand, with the case of the illegal Czech migrant Karel Sroubek – who was imprisoned for drug dealing and may be deported once his sentence ends – dominating the news, it seems unusual that the UN’s agreement is not receiving more publicity. Commentators are suggesting that those involved in the Compact are afraid that if citizens in the countries planning to sign the accord find out about it, public pressure will force their political leaders pull out. Indeed, it would be of grave concern to New Zealanders if we lost control of our borders, through the UN dictating that we must accept thousands of illegal migrants – in addition to our long-standing commitment to take refugees. New Zealand is one of 26 countries involved in the UN’s High Commissioner for Refugees (UNHCR) resettlement programme, and as a result, more than 35,000 refugees now call New Zealand home. For thirty years, 750 refugees a year have been accepted, although in 2015, an additional 750 refugees from Syria were approved. The former National Government increased the quota to 1,000, and Labour will increase it further to 1,500 from 2020. The Green Party wants the quota increased to 6,000 refugees a year. Refugees chosen for New Zealand are carefully screened, including for credibility, security, immigration risk, and health status. Their first six weeks in the country are spent undergoing orientation at the Mangere Refugee Resettlement Centre. From there they are re-settled in six regions – Auckland, Waikato, Manawatu, Wellington, Nelson and Dunedin – where furnished housing is provided along with intensive community support. To qualify for refugee status, asylum-seekers must have experienced persecution on one of five grounds: race, religion, nationality, membership of a particular social group, or political opinion. In contrast, the UN’s Migration Compact significantly expands the grounds for asylum to include such things as poverty, unemployment, inequality, corruption, poor governance and climate change. Furthermore, signatory nations are encouraged to treat illegal migrants the same as those who arrive lawfully, providing them with the same health care, housing, welfare and jobs as citizens. The United States had the sense to walk away from this disastrous UN accord last December, saying it contained numerous provisions that were inconsistent with US immigration and refugee policies. Other countries are also backing out of the accord. To date, Hungary, the Czech Republic, Croatia and Poland are refusing to sign, as are Austria, Israel, Bulgaria, and Australia. Hungary was critical of the UN pact from the beginning, but their concerns were brushed aside during negotiations in favour of the interests of Africa, Latin America, and other countries where illegal migration originates. Hungary believes the compact is against their national interest, and they warn that by legitimising illegal migration, the UN pact could potentially encourage millions of people to attempt to migrate unlawfully. The Czech Republic is also opposing the agreement, on the basis that it blurs the line between legal and illegal migration. They believe that deciding who is allowed into the country is a matter for them, not the UN. The Czechs have supported Hungary and Poland in maintaining a hardline anti-immigrant stance in response to the migrant crisis, refusing to endorse the EU quota re-settlement system. Austria has also backed out over concerns that the accord will result in the loss of sovereignty over migration policy. The decision to boycott the Marrakesh meeting was taken by the Austrian Federal Government in the Council of Ministers. In Australia, people smuggling had led to the deaths of over 1,200 asylum seekers before the current hard-line approach of turning back the boats was adopted. Since then, there have been no more deaths. Any asylum seeker who does manage to arrive by boat is banned from ever being settled in Australia. They are instead held in off-shore detention centres on Nauru and Papua New Guinea’s Manus Island. Genuine refugees are given the option of returning to their home country or being resettled, but not in Australia. Other countries, like Germany, that have experienced illegal migration on a massive scale, are also questioning the accord. According to the UNHCR over 1.8 million asylum-seekers have entered Europe since 2014, with almost 110,000 arriving this year – 56,000 in Spain, 29,000 in Greece, and 23,000 in Italy. While EU measures have slowed down unauthorised arrivals, since the structural factors that contributed to the crisis remain largely in place, many feel it is only a matter of time before migration numbers start to escalate again. The Swiss government has announced it will not attend the Marrakesh meeting because it needs to put the deal to Parliament for consultation and approval, as is required by law. That is what needs to happen in New Zealand. While the UN is at pains to point out that their Migration Compact is non-binding, in effect, the accord will be morally and politically binding on any government that signs up. Given the serious impact the UN agreement could have on New Zealand, the Compact should be treated as if it were binding and presented to Parliament in the same way as other international treaties – before it is signed. Standing Order 398 sets out the criteria for a National interest analysis. It includes the reasons for New Zealand becoming party to the treaty; the advantages and disadvantages in doing so; the obligations that would be imposed as a result of the treaty; the economic, social, cultural, and environmental effects of the treaty; the cost of complying with the treaty; the measures required to implement the treaty; and “A statement setting out the consultations which have been undertaken or are proposed with the community and interested parties in respect of the treaty”. Under Standing Order 399, the Foreign Affairs, Defence and Trade Committee would consider the treaty, or refer it to an appropriate committee. And under Standing Order 400 the committee would then report back to Parliament noting any issues that should be drawn to the attention of the House, including the national interest analysis. In other words, the Government should follow the lead of Switzerland and stay away from Marrakech, to enable the UN Migration Compact to be referred to Parliament – and the public. The Government also needs to consult with Australia to find out whether signing the Compact would threaten our visa-free trans-Tasman travel arrangements. Since the Australian Government has refused Prime Minister Jacinda Ardern’s offers to take illegal migrants from Manus Island and Nauru, on the basis that New Zealand could be used as a backdoor route into their country, then the same concerns may arise if we sign the UN accord and they don’t – namely, illegal migrants could come to New Zealand in order to get into Australia. As already noted, the UN’s Migration Compact creates new grounds for asylum – including climate change. This poses a real threat for New Zealand since both Labour’s Prime Minister Jacinda Ardern and the Green’s Climate Change Minister James Shaw have stated that they want New Zealand to become the world’s first safe haven for “climate refugees”. There is a real risk that they are planning to open the floodgates to so-called climate refugees from the Pacific. Doing so would undermine the long-established migration arrangements that New Zealand already has in place with many Pacific Islands. Cook Islanders and Niueans have enjoyed freedom of entry since 1901, and Tokelauans from 1916. Each year 1,100 Samoans and a further 650 Pacific Islanders are accepted for residence – around 75 from Kiribati, 75 from Tuvalu, 250 from Tonga, and 250 from Fiji. 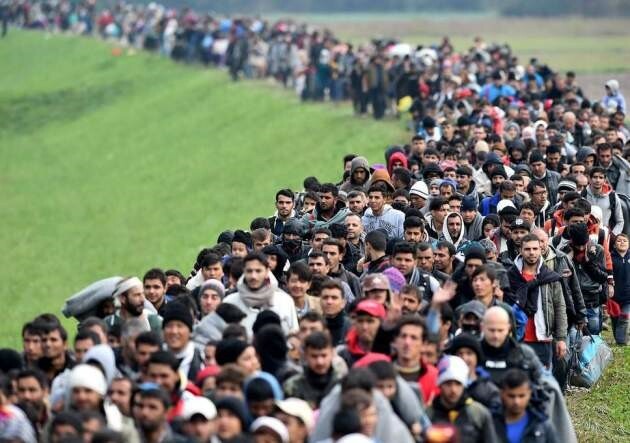 If you are opposed to New Zealand signing the UN’s Migration Compact, and opening our borders to climate refugees and other illegal migrants, then you need to speak up. Contact the Minister of Foreign Affairs, Winston Peters, who is leading this initiative for the Government, and ask him to walk away. Tell him that signing the UN’s Migration Compact is not in the national interest. Call on the Prime Minister and other MPs to pull New Zealand out of the accord. Should New Zealand sign up to the United Nation’s Global Compact for Safe, Orderly and Regular Migration? Nothing more than a giant step forward, for the N.W.O. Watch Jacinda, & her globalist friends, rush to be first to sign this end of our sovereignty agreement.. What do you think the kiwi-built houses are for? Our poor homeless people, , yeah right. Also note how the MEDIA are more interested in Nationals silly side shows, instead of embarrassing them with real questions of importance. Truth is, President Trump has thrown the globalists into panic mode, with his determination to keep at least his part of the free-world FREE.. A.G.R.